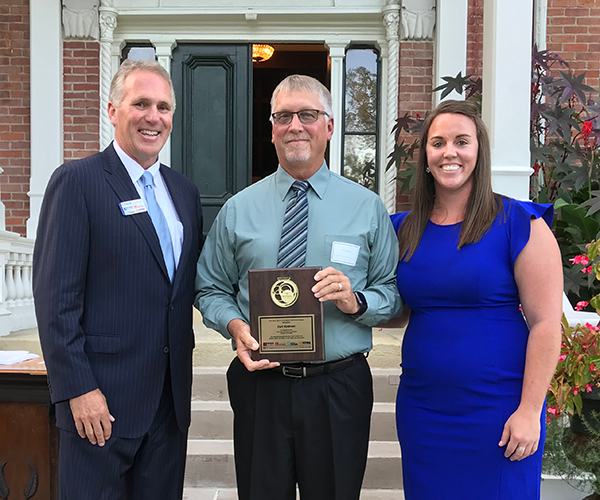 AMES, Iowa – September 25, 2018 – Iowa Games CEO/Executive Director, Chuck Long, honored Tai Tomasi of Des Moines and Curt Nystrom of Boone, the 2018 Marty McHone Iowa Games Female and Male Athlete of the Year Awards during a reception at Terrace Hill in Des Moines on Monday, September 24. Tai Tomasi, a Vermont native now living in Des Moines, is a humble athlete that does not enjoy attention. Born over two months premature, she is completely blind as a result of retinopathy of prematurity. She was born in Vermont and is one of 27 adoptive siblings. She is a fighter and was raised to be fearless. Growing up, it was not uncommon for her to ride bikes and rollerblade. She was even a member of her high school swim team. In 2014, Tai graduated from the University of Iowa with a law degree and currently works as an attorney at Disability Rights Iowa. 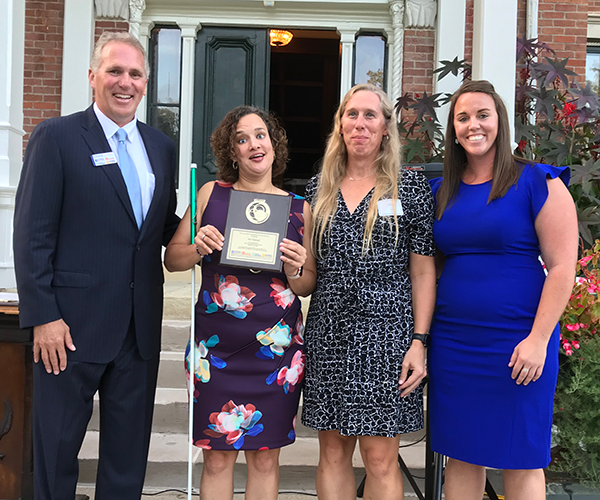 This year, she was the first ever winner in the para-athlete division for the Triathlon at the Summer Iowa Games presented by Grinnell Mutual. This week she will be registering for her first half-ironman. Curt Nystrom has considered himself a swimmer for 47 years and has competed in the Iowa Games for 28 years, starting in 1988. Nystrom is a perfect example of a life-long athlete and is an inspiration to many swimmers, both kids and adults. Nystrom is an athlete, citizen, friend, brother, husband and father of three while dedicating himself to the sport and the Iowa Games. Over his 28 years competing in the Iowa Games, he has accumulated over 200 medals. His great sportsmanship and hard work has kept him committed to the sport of swimming and the Iowa Games. In 2003, the award was named the Marty McHone Athlete of the Year in honor of McHone who died of cancer in 2002. Both the 2018 award recipients are well deserving of this award and will be the official torch bearers at the 2019 Summer Iowa Games Opening Ceremony. To learn more about the Iowa Games and awards offered, visited www.iowagames.org. 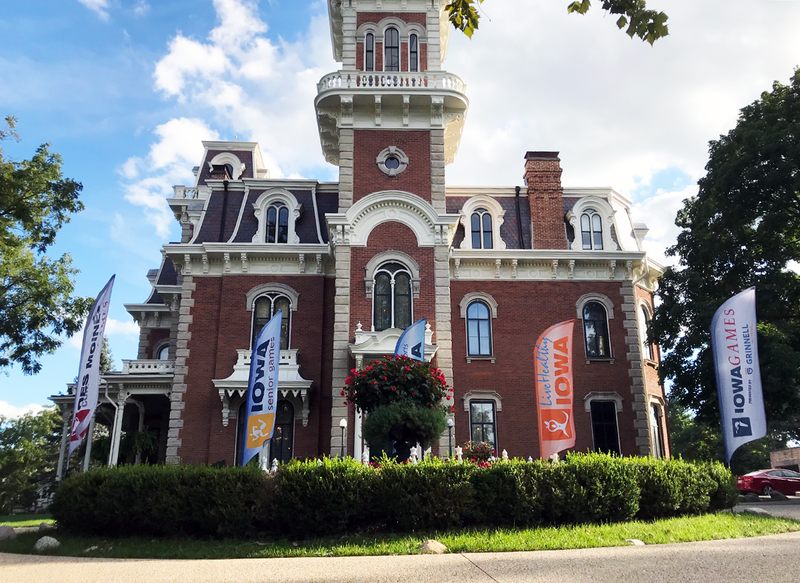 The mission of the Iowa Games is to provide sports and recreation opportunities for all Iowans through Olympic-style festivals, events and programs. 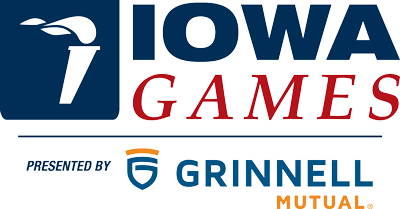 The Iowa Games is a program of the Iowa Sports Foundation. The Iowa Sports Foundation (ISF) was founded in 1986 as a 501(c)3 non-profit entity with the mission to provide sports, recreation, health and wellness opportunities for Iowans of all abilities. The ISF is comprised of the Iowa Games, Live Healthy Iowa, Adaptive Sports Iowa, Iowa Seniors Games and the Des Moines Corporate Games.